The contents of the Forms tab changes. 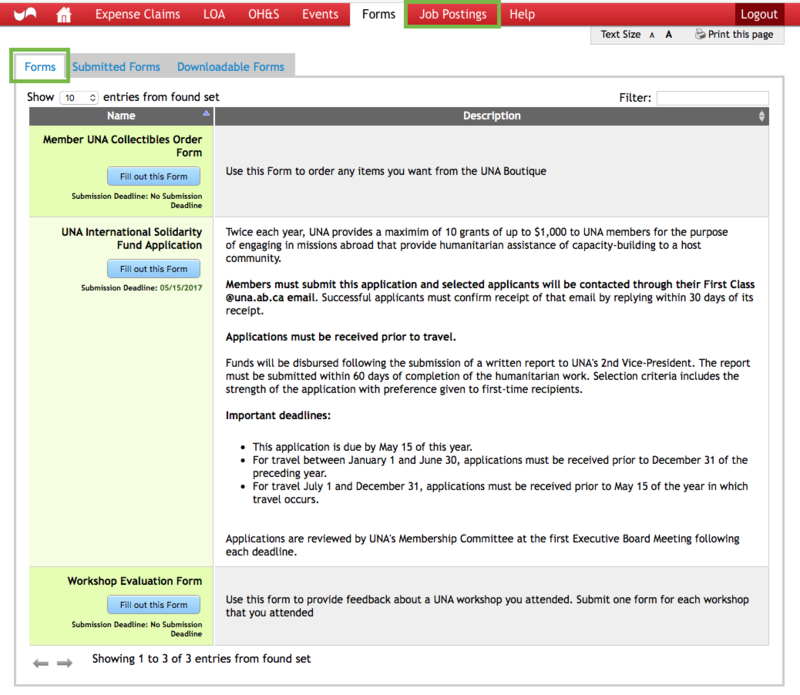 The list of available forms changes as the Submission Deadline for a form passes. The form will then be removed from display. The second tab – Submitted Forms allows for you check on your personal history of submitted forms. If you complete one of the available forms. It is removed from the Forms lists and appears on the Submitted Forms list. This list grows as you make use of available electronic forms. To view the details of your submitted form, click on Show Details. 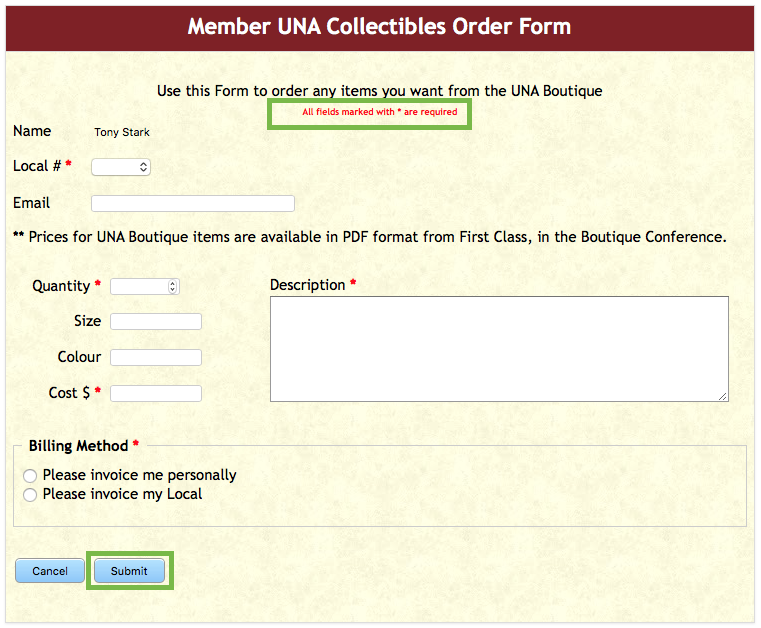 Once you have located the form you wish to complete, click on Fill out this Form to open the form. Complete the fields with Red *. Then click on Submit.